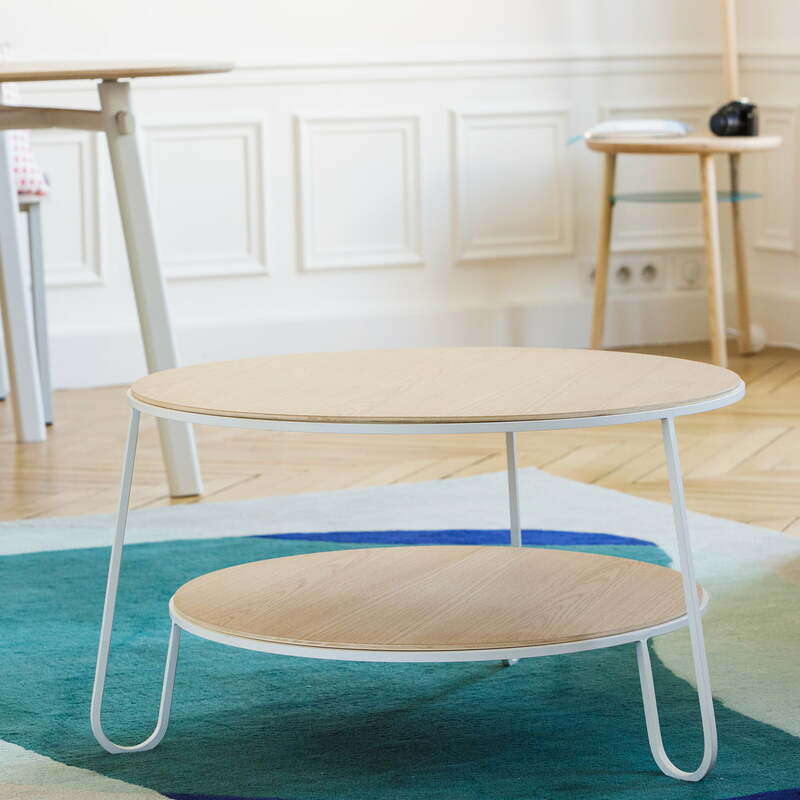 Eugénie by Amandine Chhor & Aïssa Logerot for Hartô is a coffee tables composed of a metal rack and two shelves made of MDF with oak veneer. 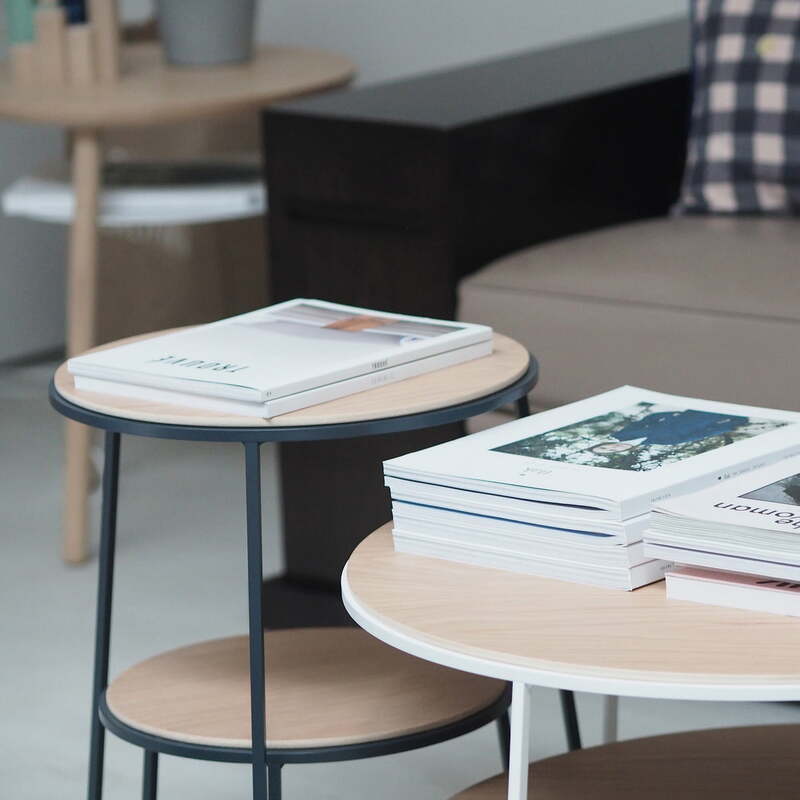 The two shelves are cleverly connected by the metal frame and provide enough space for accessories, books and magazines. The rounded curves of the metal frame with its square cross section produce a mixture of smoothness and stability. The frame rack is therefore an ideal base for the two circular boards in oak veneer. 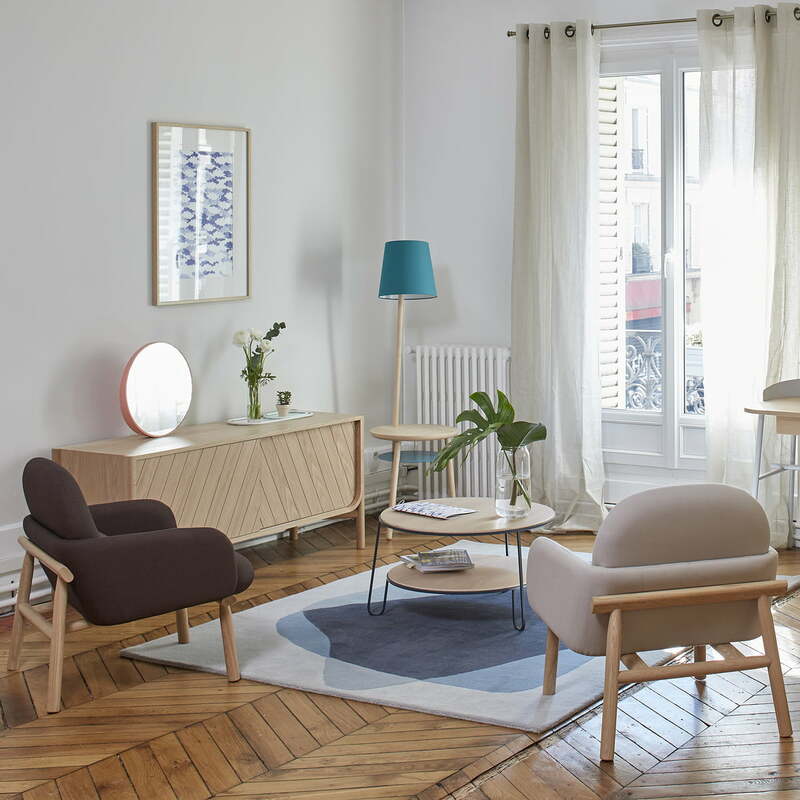 Eugénie by Amandine Chhor & Aïssa Logerot for Hartô is made in Europe from MDF with oak veneer and metal. The table is available with metal frames in different colours. 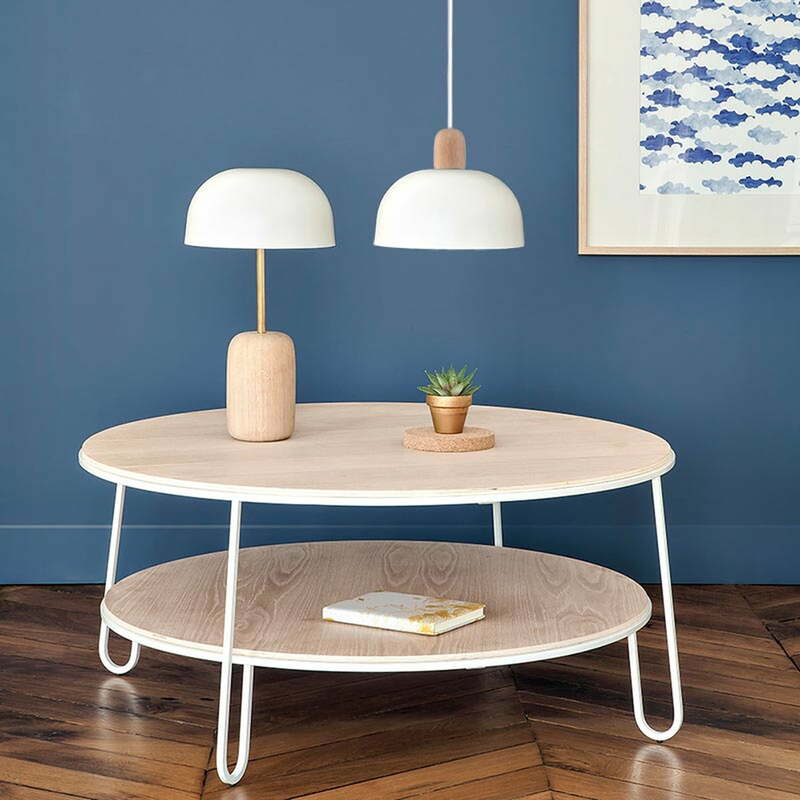 A higher side table version of the table with the name Anatole is a great addition. 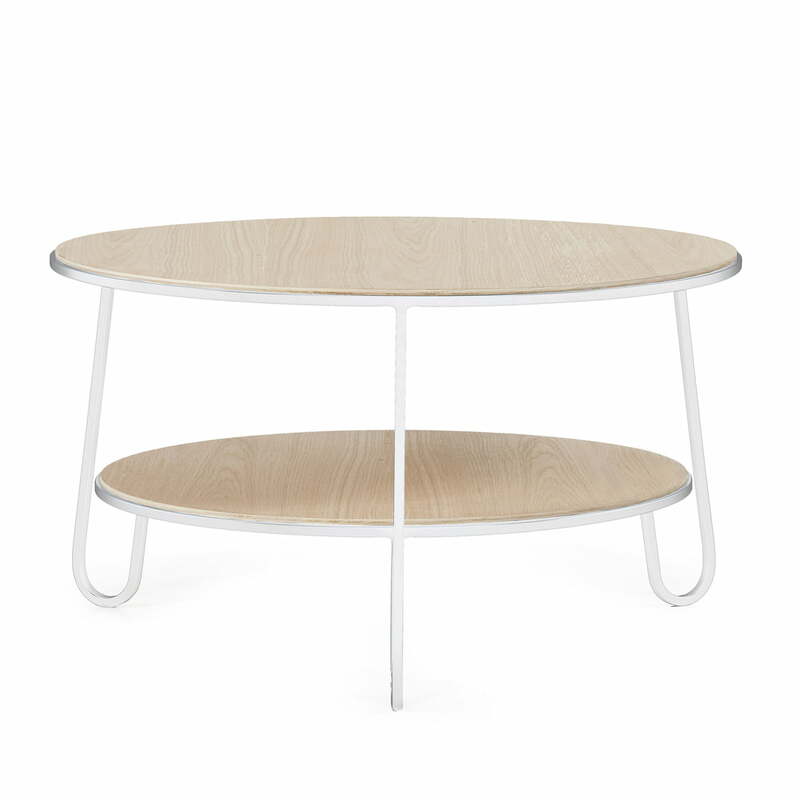 Individual imge of the Eugénie coffee table by Hartô in traffic white (RAL 9016). The coffee table is made of MDF with oak veneer and has a metal frame. 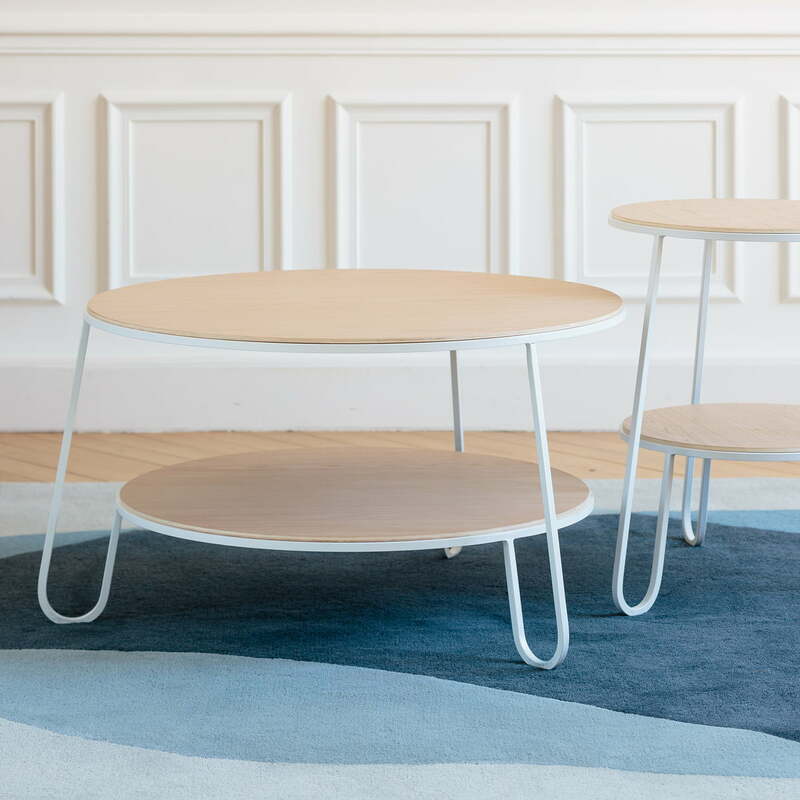 Eugénie and Anatole by Amandine Chhor & Aïssa Logerot for Hartô are coffee and side tables composed of a metal rack and two shelves made of MDF with oak veneer. 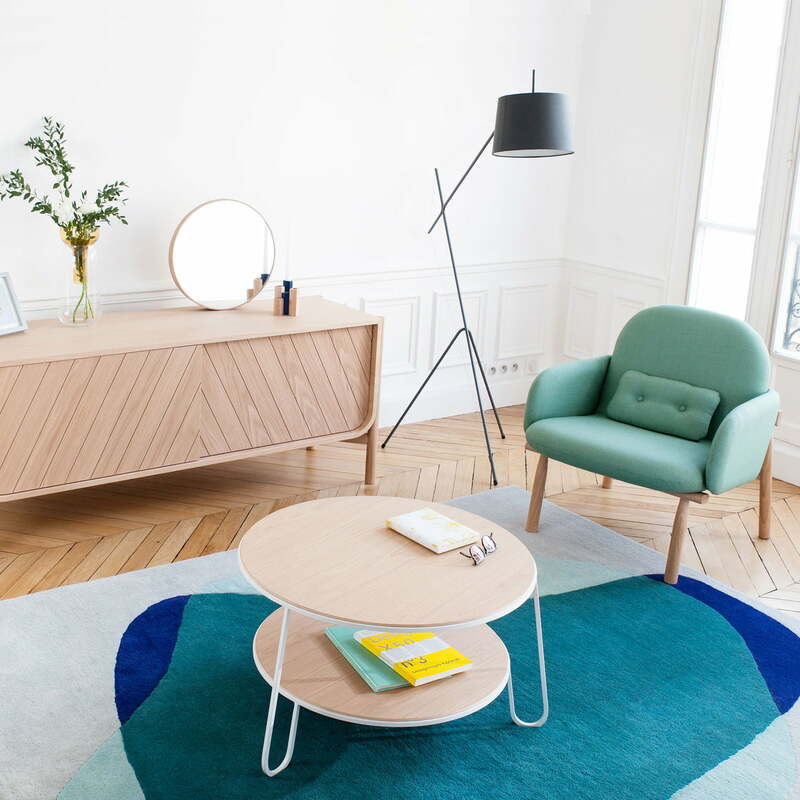 The Serge Rug, the Josette Light Table, the Georges Armchair, the Anatole Side Table, as well as the Eugénie Coffee Table are high-quality pieces of furniture by Hartô. 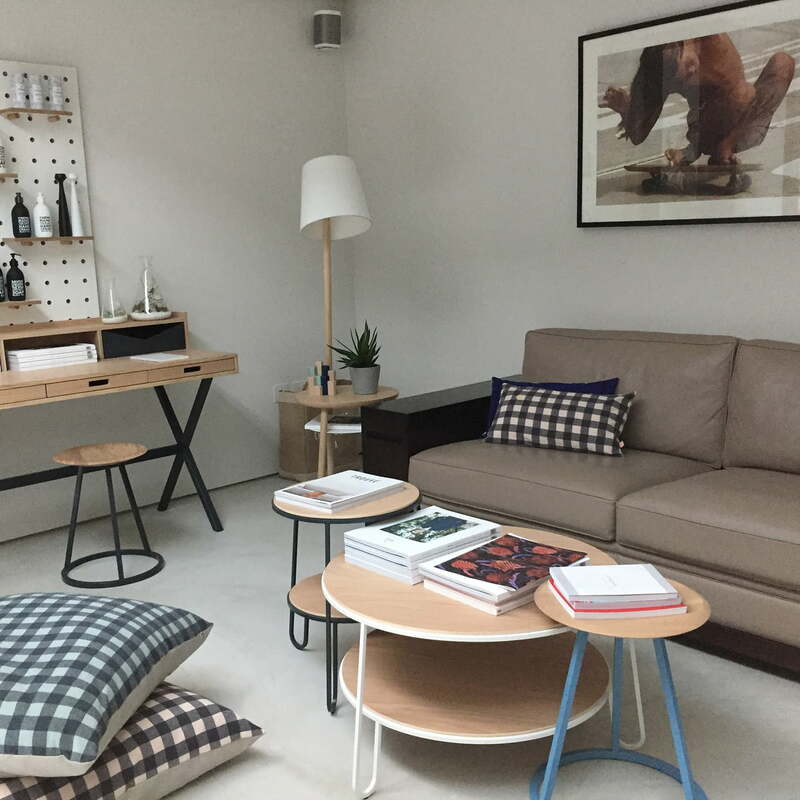 Eugénie, Anatole and Josette are coffee and side tables from the French manufacturer Hartô and enrich any living room with their simple, timeless design. Anatole and Eugénie, made of MDF with oak veneer and metal, cut a good figure in the living room. In addition, the Rug Serge matches the overall picture. 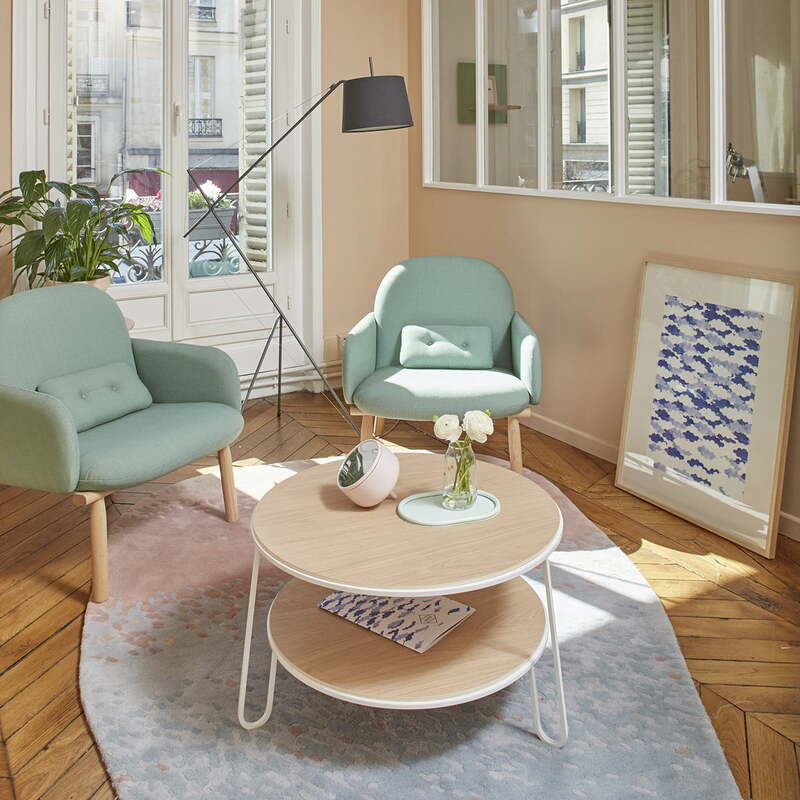 The Élisabeth floor lamp, the Georges armchair, and the Eugénie coffee table by the French company Hartô compose a harmonious seating which invites you to linger. The Serge Rug, the Georges Armchair, the Eugénie Coffee Table, the Elizabeth Floor Lamp, the Odilon Mirror as well as the Marius Sideboard create a harmonious overall picture in the living room.